Skule™ is busy. And life is even busier. 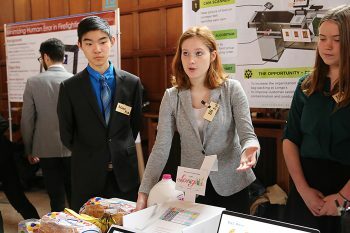 While U of T Engineering students take on important technical challenges — in fields from climate change to advanced manufacturing — some challenges are more personal and closer to home. Of the 200 engineering students who participated in the University of Toronto’s 2016 National College Health Assessment (NCHA), 57% reported their stress levels were “above average” or “tremendous.” What makes us feel stressed is personal and unique — and so are the supports that can help manage that stress. 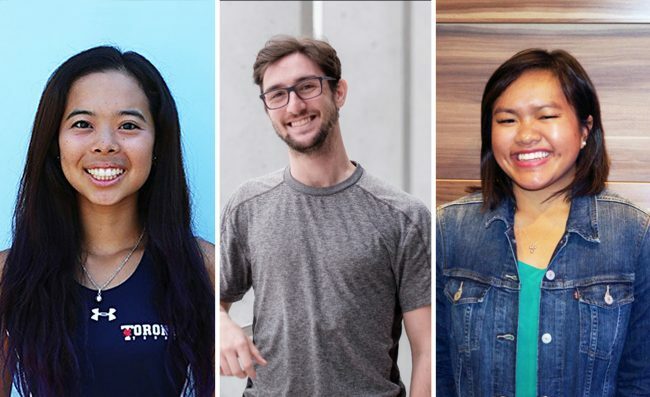 As the University of Toronto and the Faculty of Applied Science & Engineering work to improve and expand mental health resources on campus to better serve all students, we sat down with four U of T Engineering students to learn more about what strategies they use to navigate their stress. Kimberly Lai (Year 4 EngSci) is currently working at Safran Landing Systems as part of the Professional Experience Year Co-op Program. 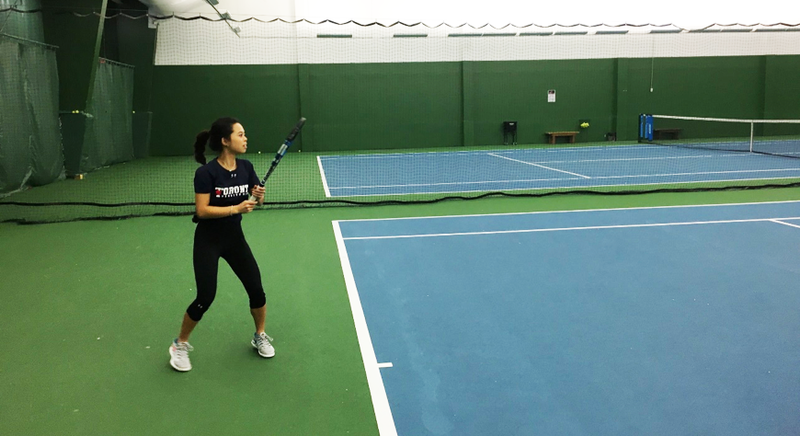 She has also been a member of the Varsity Blues women’s tennis team since first year, and represents her team on the Varsity Blues Board. She also serves as an executive member of Blues Engineering, a student-run organization that provides support to the Faculty’s student-athletes. Lai keeps a pocket-sized agenda where she writes down all her deadlines and commitments and keeps track of what’s coming up. Every Sunday night, she takes 15 minutes to create a plan that addresses how she will complete all of her assignments and problem sets for the upcoming week. 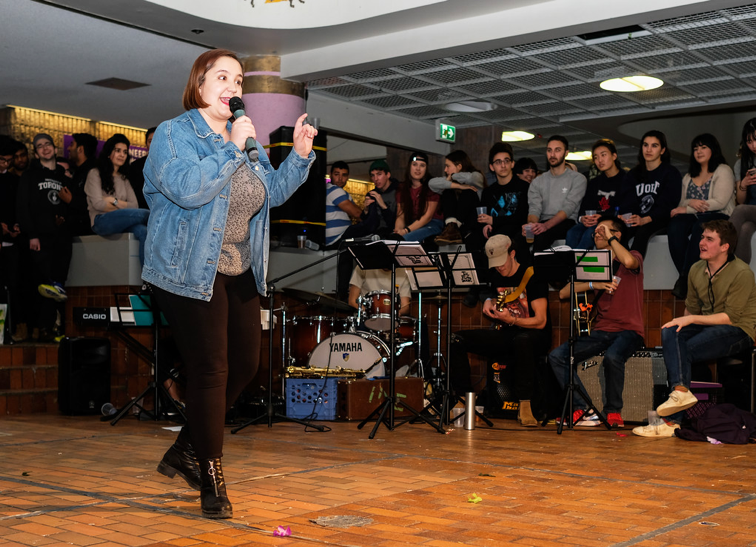 Elena Pappas (Year 1 ChemE) is the First-year Core 8 Representative for Skule™ Mental Health and Wellness. 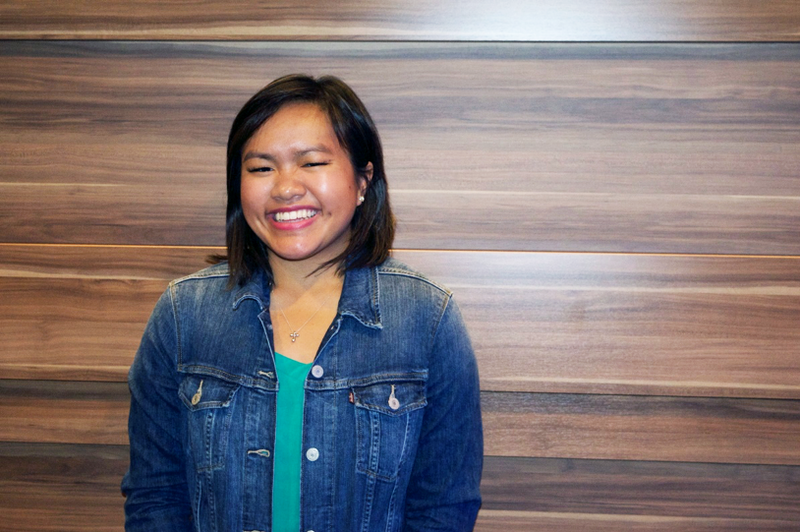 “I try to get involved with the Skule™ community as much as I can,” she says. Pappas is also on the cast of Skule™ Nite, a musical and sketch comedy show. She is open about her struggles with mental health, and while she finds creative performance integral in helping her maintain a healthy headspace, it also adds to her busy schedule. “Leading up to a show, I spend 16 hours a week in rehearsal,” she says. Originally from Chicago, Ill., third-year mechanical engineering student Hannah Eng decided to attend U of T Engineering because of its sense of community. “I feel like I missed out on so many opportunities in high school. 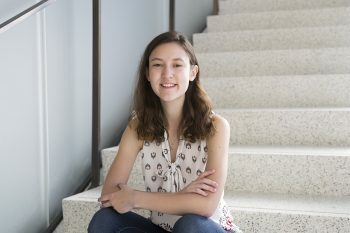 I knew I definitely wanted to be more involved coming into university,”she says. She has served in various positions with the Skule™ Archives and Gradball, acted as a Class Representative, Student Ambassador and much more. Today, Eng is the Engineering Society’s Mental Wellness Director. She and her team plan events and share advice on social media to promote mental well-being among all students. While her daily schedule varies, Eng finds she works best when she has a regular routine. Even if she doesn’t have an early class, she finds that her 20-minute walk to and from campus is a great way to begin and end her day. 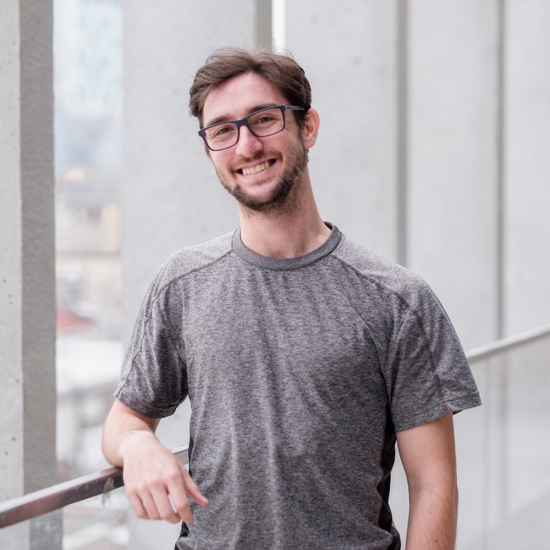 Currently in the second year of his PhD studies in the Institute of Biomaterials & Biomedical Engineering, Chaim Katz completed both his undergraduate and master’s degrees at U of T Engineering. “I research memory formation and its correlation to ongoing electrical activity in the brain,” he says. For Katz, enjoying and finding meaning in his work is important to his mental health, and makes spending long hours in the lab a lot easier. “As a lab group, we collaborate and participate in outreach initiatives that directly connect us to those our research is intended to support – the epilepsy community,” he says. Katz’s lab environment allows him the flexibility to manage his own schedule. While each day brings different responsibilities and challenges, he finds the packed schedule keeps him motivated and allows him to switch mindsets so that he is not always focused on one project. “At night, or at least on Saturdays, I try to carve out some time with my wife, family and friends to ensure I am not solely engulfed in my work,” he says. A co-founding member of the Graduate Engineering Council of Students (GECoS) and a member of the Biomedical Engineering Students Association, Katz maintains work-life balance through physical activities like floor hockey and inner tube water polo, but he also leaves room to spend quality time with friends and family. Katz notes that being involved in sports keeps him healthy and active while giving him an energy boost to be more productive in his research. Living downtown means he can bike to the lab, giving him some physical activity every morning. “The importance of my extracurriculars and life outside of my research cannot be understated,” says Katz. His commitments and involvement encourages him to be especially efficient with his time. During his undergraduate degree, Katz focused on fulfilling the requirements of structured courses. “My responsibilities included being a good student and assisting other students maintain work-life balance through my work as a residence advisor,” he says. Engineering students seeking support for academic or financial concerns should visit the Registrar’s Office in the Galbraith Building (GB157). 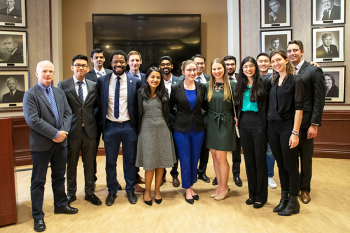 Visit the Skule™ Mental Health and Wellness page for information on upcoming events and initiatives organized by engineering students for engineering students. All U of T students can access counselling services at Health and Wellness in the Koffler Centre (416-978-8030). Students also have access to Good 2 Talk (1-866-925-5454). This is a free service for post-secondary students in Ontario, and it is available 24 hours a day, 7 days a week. Good 2 Talk is a free, confidential helpline providing counselling and referrals. Good 2 Talk is staffed by trained therapist and counsellors.